This page holds archived materials such as period documents, articles and images relating to railway surgery. More items will be added periodically, so check back or sign up for the newsletter alert service below to see what’s new. All files are in .PDF format unless otherwise noted. PDF files can be viewed with the free Adobe Reader. Most files are in a low-resolution format to conserve server space. We will be happy to email you high-resolution versions; contact robert @ railwaysurgery.org. Very brief mention of railway surgery under "The Medical-Legal Congress"
-Notice on p. 209 the announcement of a lecture by Dr. J.H. Kellogg of Battle Creek, Mich., and on the back cover, an ad for the Kellogg Sanitarium in Battle Creek . This is the doctor who founded the Kellogg cereal company. 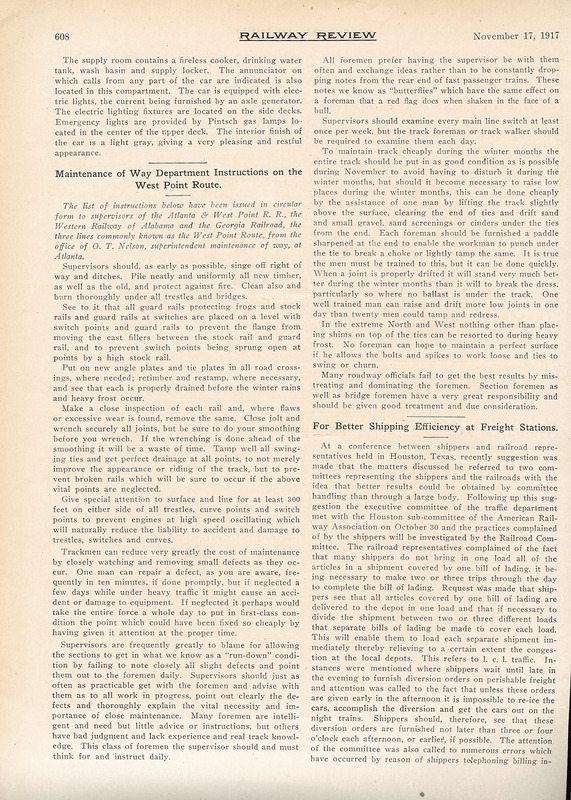 The Value of Examinations of Sight, Color, Sense and Hearing in Railway Employes, by C.W. Tangeman, M.D. The Deflected Septum and its Surgical Treatment. by Jno. A. James, B.Sc., M.D. How to Prevent Anaesthetic Vomiting, by Thos. W. Musgrove, M.D. "Car for Hospital Service, Erie R.R." 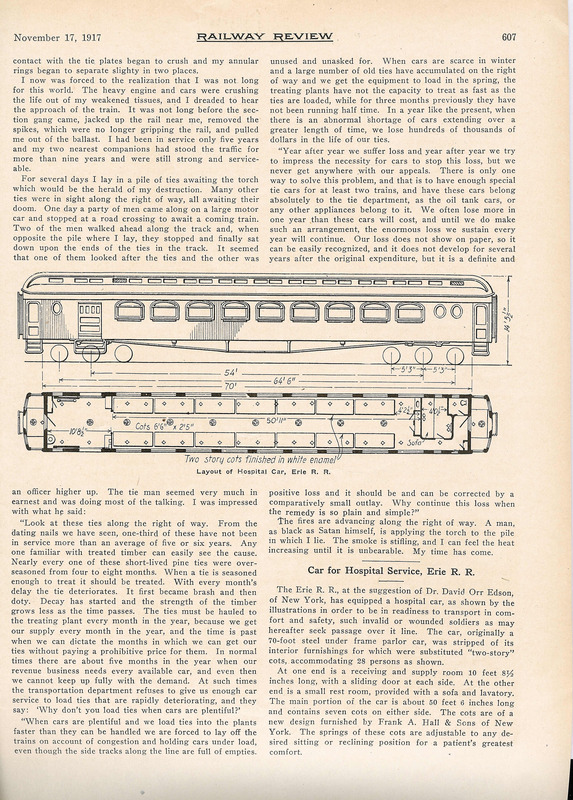 Short article announcing that the Erie Railroad has converted a parlor car into a hospital car for soldiers. Includes a diagram. "Hospitals on Wheels" and "Build a Hospital Unit Car." Describes WWII Army hospital trains, with some pictures and description of the prototype, and plans for building a model version. Descriptive brochure explaining how the health plan works. Very amusing both for its ridiculously low prices and corny, inappropriate illustrations. "SP people join in community service" - SP employees raised money to buy first TV for SP hospital. "Dallas surgeon retires after 53 years with SP." "SP's hospital for trains" - Article about SP locomotive shops in Houston. To subscribe, send a blank email to subscribe @ railwaysurgery.org. Unsubscribe at any time by sending an email to unsubscribe @ railwaysurgery.org.